Auctions America by RM, a subsidiary of RM Auctions, is expanding to include a vintage motorcycle division with the acquisition of Bator Vintage Motorcycle Auctions. 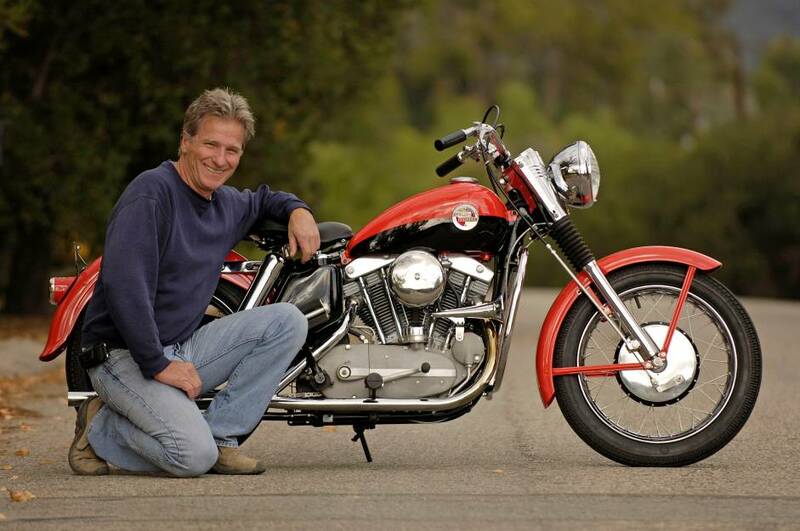 Classic and antique motorcycle expert Glenn Bator will lead the new division for Auctions America. The company will present its first extensive bike offering at its second annual ‘Auburn Fall Collector Car Auction’ scheduled September 1 – 4, 2011 at its 235-acre Auburn (Ind.) Auction Park headquarters during the famed ‘Auburn Cord Duesenberg Festival’ weekend. Glenn Bator has been restoring all types of motorcycles for a number of years, with a specialty in pre- and post World War I American machines. In addition to his work restoring bikes, Glenn, along with his wife Deni, has operated the long-standing Bator group of companies. Glenn is known for having organized motorcycle shows and staging auctions at such prime venues as the Barber Vintage Festival and the Daytona Classic Motorcycle Auction held during ‘Bike Week’. Previously, Glenn held the position of curator, restorer and general manager for the Otis Chandler Vintage Museum. To consign your bike to an Auctions America by RM event, contact Glenn Bator at gbator@auctionsamerica.com or call his office at +1 805 646 9566 or his mobile at +1 805 798-1802. The ‘Auburn Fall’ event will build on its debut in 2010 with another 1,000 motor cars and motorcycles crossing the auction podium, and a swap meet and car corral organized by Auctions America by RM’s partners, Carlisle Events. For more information, visit www.auctionsamerica.com, call +1-260-927-9797 or email info@auctionsamerica.com. I don’t understand RMs action here to try and have a motorcycle auction during the very same weekend as the Antique Motorcycle Club of America’s Davenport, Iowa Meet. “Davenport” as the meet is referred to, is well known the world over as THE mecca for all things vintage, or collectable when it comes to motorcycles. Glen Bator himself is usually in attendance. I realize that motorcycles are becoming way more accepted amongst the big car collectors, but perhaps having the auction at the Motorcycle event would make more sense? Or at a non-conflicting venue? Very questionable actions here. Forgot to mention; I’ve had some Cords, still do, and am in the ACD Club. We hold our massive Homecoming in Auburn during this time. Yet, I attend the Davenport, Iowa motorcycle meet instead each year. One year I did do the 7 hour drive, but I missed the best part of both events!